Unless you have really dry scalp, most of use don’t need the extra moisture conditioner provides on our roots. Our scalp naturally produces oil every day, so adding any extra can give your hair a greasy look, especially if you don’t shampoo every day. 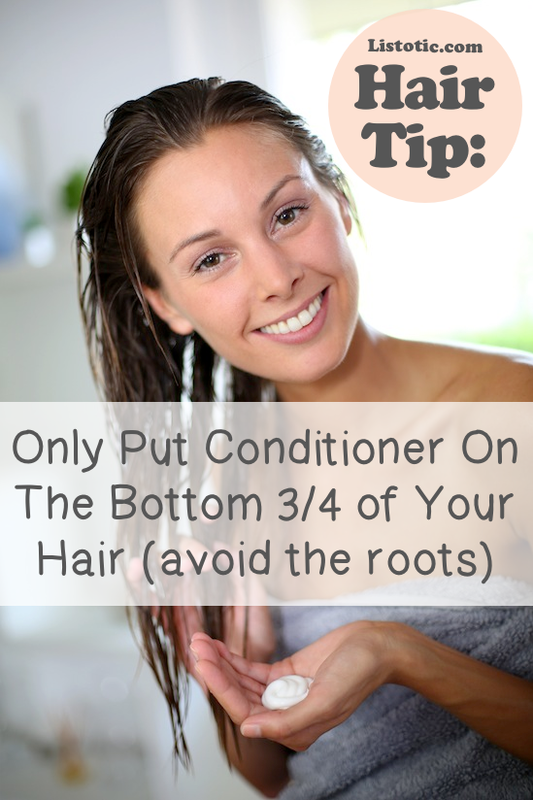 For the best results, try to apply your conditioner on the bottom 3/4 of your hair, really concentrating on the ends. Do your bobby pins tend to slide out? Mine do! 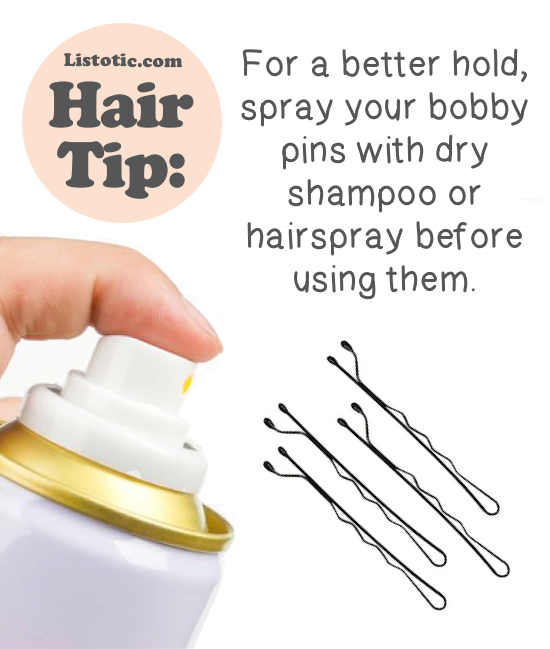 In fact, I never use my bobby pins without a quick spray of hairspray or dry shampoo first. It gives them a little extra grip so you don’t have to worry about your hair style falling out. 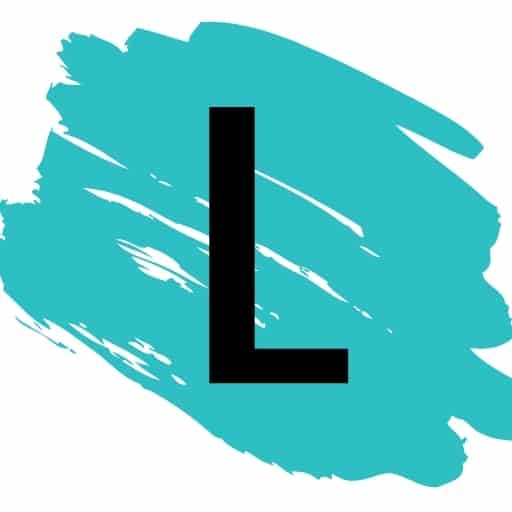 Place your bobby pins on a paper towel or tissue, give them a light spray, and then allow them to dry for a minute or two before inserting them into your hair. This is especially helpful on fine, straight and thin hair. 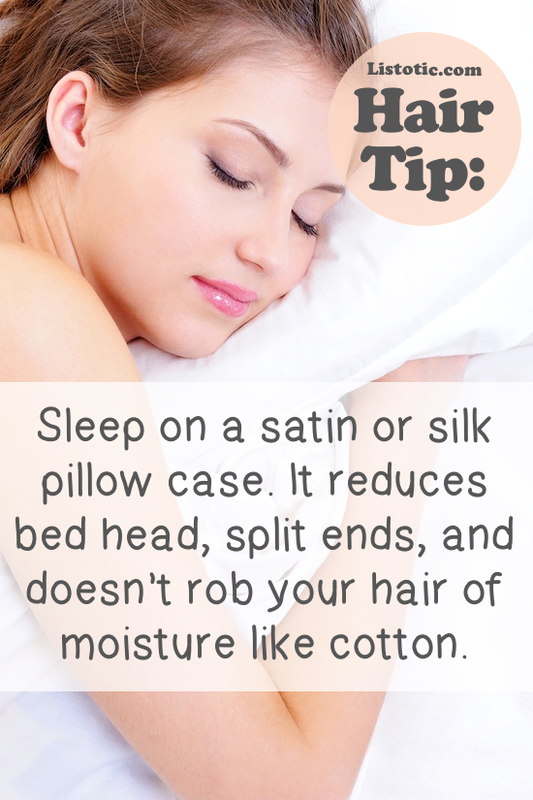 I think that most of us sleep on a cotton pillow case, but there are so many benefits to switching to silk or satin. Not only is it better for your skin, but it does wonders for your hair! Cotton robs your hair of moisture, is more likely to cause bed head (especially if you have bangs), and is much harsher on your hair, causing damage and split ends. It doesn’t seem like it would make much of a difference, but we sleep on it every night, so it adds up. Silk and satin pillow cases also feel luxurious — definitely worth the extra expense!